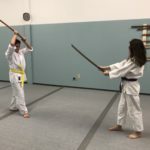 The Kobukan offers youth classes for students aged 7 through 14. 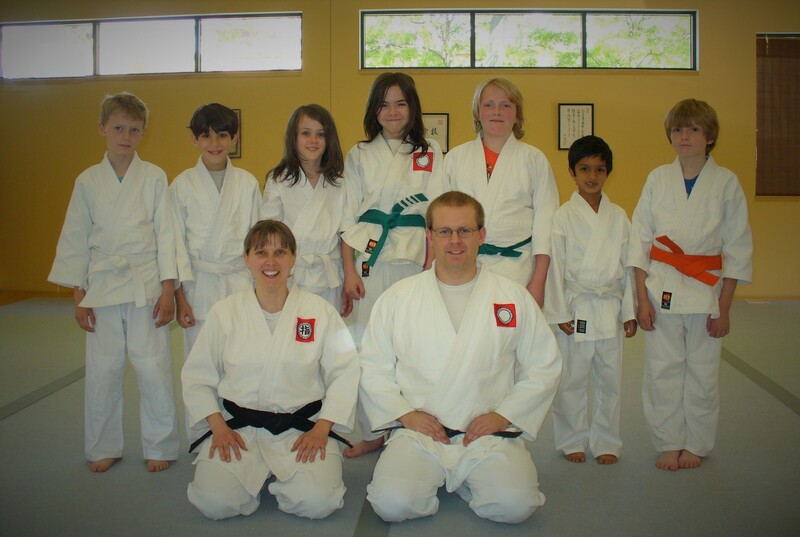 Youth classes are held on Saturdays from 11:00 to 11:45 am. Classes are $40 per month. Register online here. Youth classes emphasize cooperation, respect, fitness, and fun. 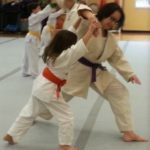 Classes cover the same basic movements, rolls, and many of the same hand and weapon techniques as in the adult classes, but at a level appropriate for younger students. Youth classes are a great way for young students to practice focus, and discipline as well as healthy aerobic exercise. 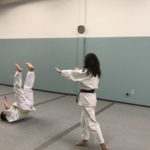 Students learn to practice harmony and cooperation through Aikido techniques. Parents are welcome to attend class with their children, or sit on the side and watch if they wish. Students should wear loose-fitting clothing that covers knees and elbows, such as sweatpants or leggings and long-sleeved shirts. Uniforms are available through any martial arts supply store. See the Safety & Clothing, Etiquette, and Vocabulary pages for more information to help you get started. Youth students may test for rank, just as adult students. Testing for rank is often a good way to measure progress and to encourage students to work toward a goal, but it is completely optional. Tests involve demonstrating various movements, rolls, and techniques, according to their level. When youth students move up to the adult classes, they receive an adult rank equal to their youth rank. If they wish to test for rank, youth students must also pay an annual fee to AYANA and a test fee. If you have additional questions, please contact us at instructors@aikidomn.org or 612-424-2156.